Click here to complete your application. Then hit “Submit” on the second page, and close the window to return to this page. 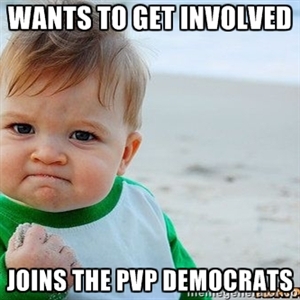 Click here to go to our ActBlue page to pay your dues. When you complete this step you can hit the back button several times to return to this page. You can join using the original paper process by clicking here, downloading then printing the paper application, completing it and sending it to the P.O. Box listed on the application along with your check.